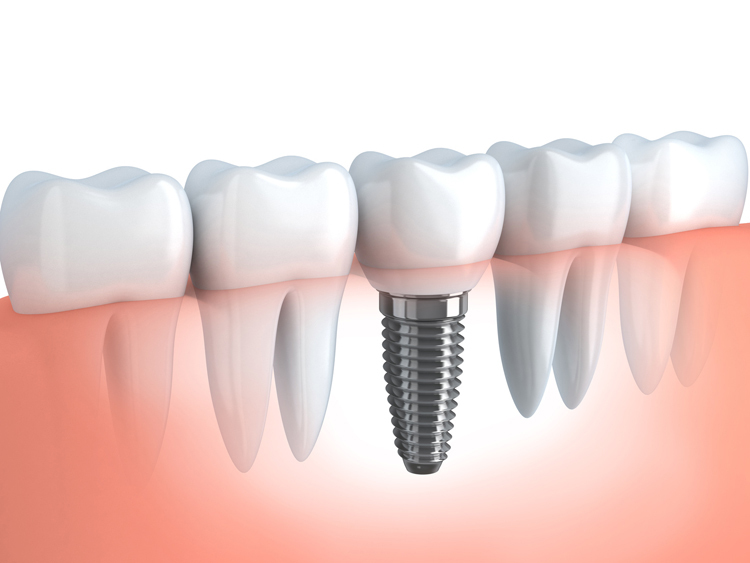 Getting a dental implant can be a long process. It requires many steps over the course of several appointments, and a long healing process. This may seem like a lot to take on, especially when dental bridges and partial dentures are available, but there are several benefits that come with implants that make them worth it. overall, but can significantly alter facial structure. Patients who have failed to replace a missing tooth with a dental implant experience drooping features and a retracted looking lower jaw, effects that can age their appearance greatly. Tooth implants offer great stability because their titanium base fuses with the bone tissue, essentially becoming part of it. This means they not only stop this effect of tooth loss, but are able to reverse it. After some time with an implant, the jaw bone will begin to grow and the process reverses. Our expert can examine your teeth and oral structure and let you know if a single tooth dental implant would be the right choice for you.